As you all know, I have been away from blogging quite a bit ..reasons.. hmmm festivities.. family and social commitments ..etc etc.. anyways ..But during this busy time I have been mainly cooking one pot meals or other quick meals options. 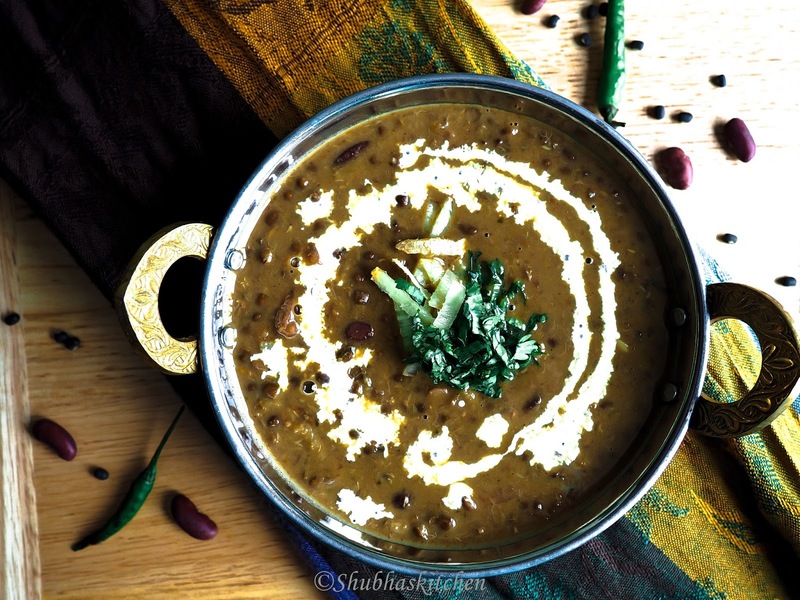 One day, I was cooking and side by side browsing through one of the food groups in FB.. That's when I came upon this recipe on the blog "My food story" by Richa. I tried her recipe.The recipe was just too good, easy and the outcome was so delicious. I changed the recipe just little but stuck to the original for the most part. 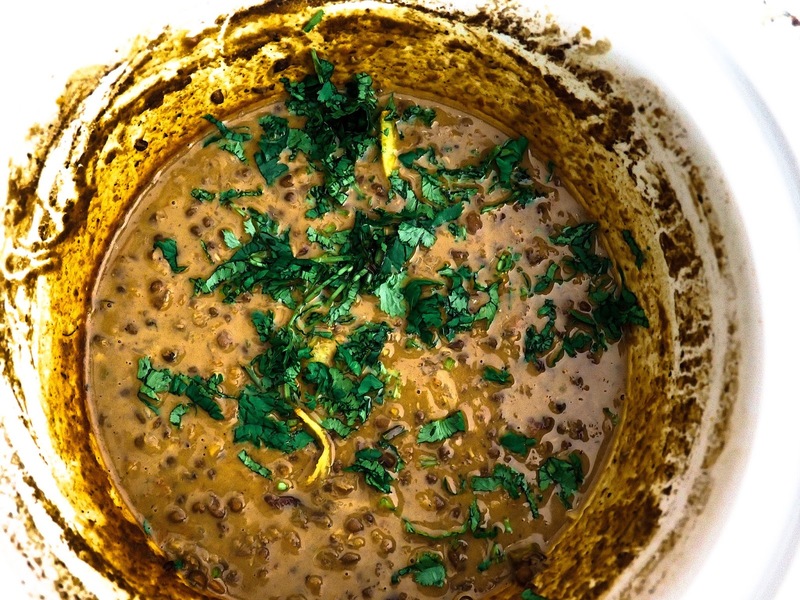 Take the dry lentils in a large vessel . 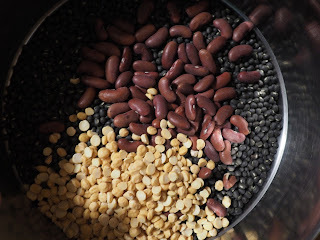 Wash and soak the lentils in hot water overnight (P.S: I stay in a cold place, water is very cold, hence i used hot water for soaking the lentils. I used about 4 cups of hot water). After enough soaking, drain the remaining water and add the soaked lentils and all the other ingredients in the list (except kasoori methi, salt and cream. I prefer adding the salt after the lentils have cooked). Add 4 cups of water. Mix well. 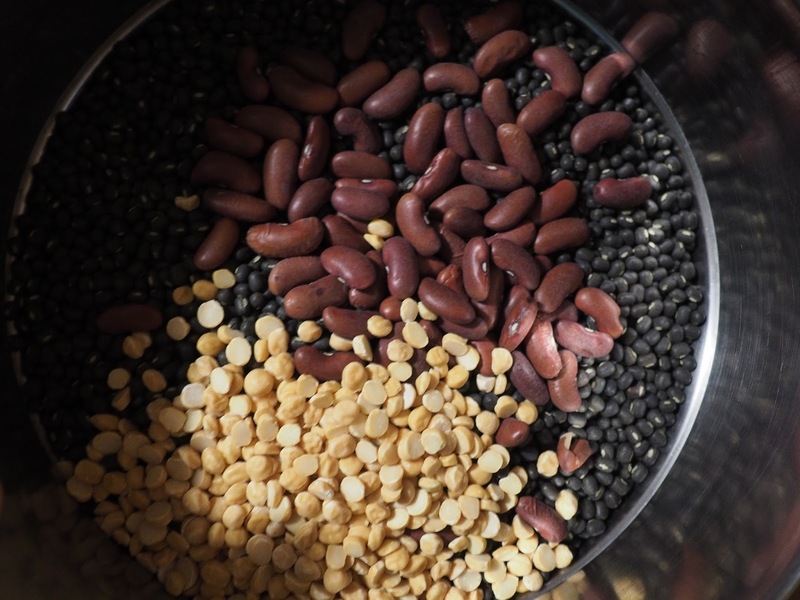 Cook in the slow cooker on HIGH for 8 hours or until the lentils especially the Kidney beans/Rajma has cooked well (You should be able to mash it between the fingers). 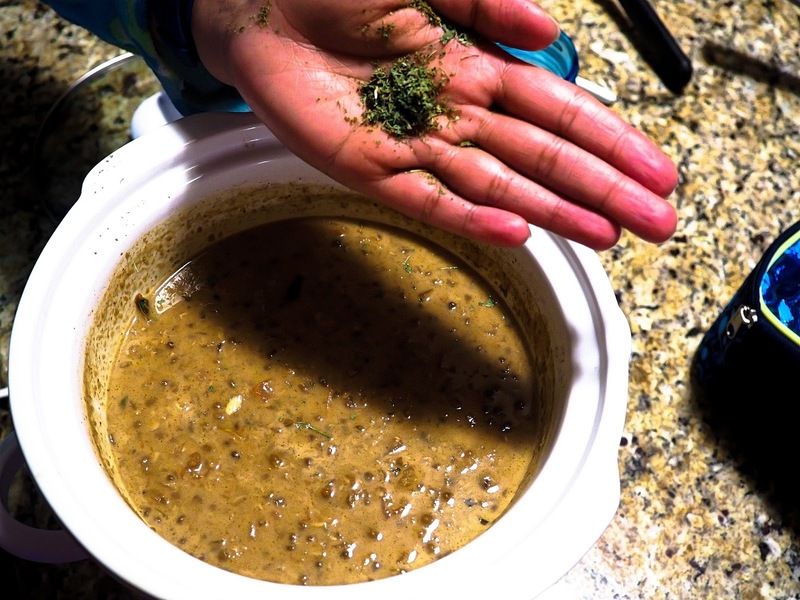 Add all the ingredients to the slow cooker except kasoori methi, cream and salt. Once done, using a masher, mash the lentils lightly. Add salt. Also add cream and Kasoori methi (Rub the Kasoori methi between the palms and then add). Cook on low for another 20 minutes. Garnish with chopped cilantro and ginger julienne. Serve hot with jeera rice, Pulao or any Indian flatbread. Wow Shubha love the slow cooker idea. The slower this daal cooks, the tastier it is. Would love to try this method! Wow Shubha, love the slow cooker idea. The slower this daal cooks,the tastier it is.would love to try this method! Hi, I do not have a slow cooker. 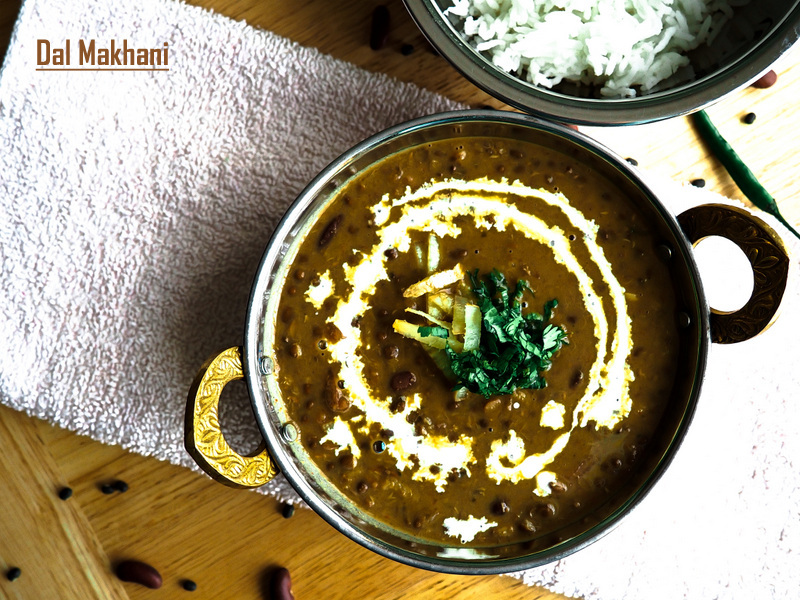 Any other version of yours, to cook Dal Makhani? 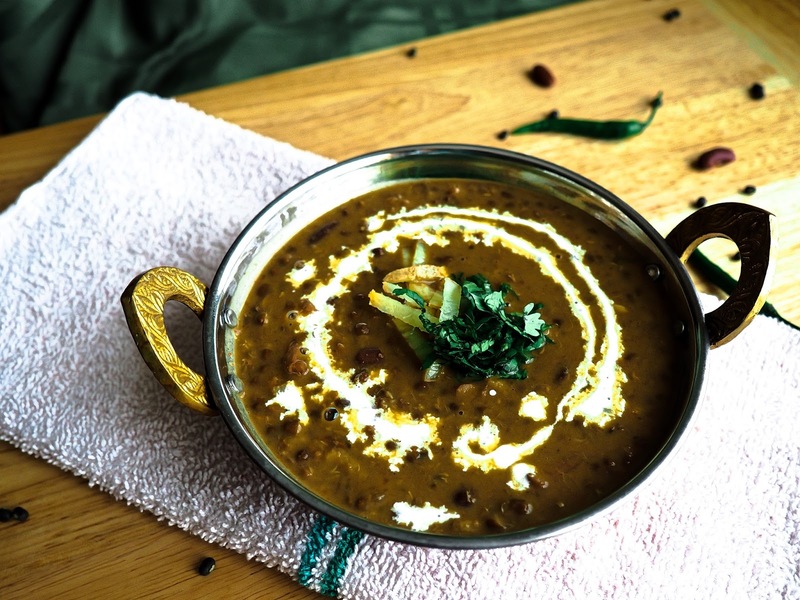 Such a comforting dal...perfect for the weather...Loved it!! 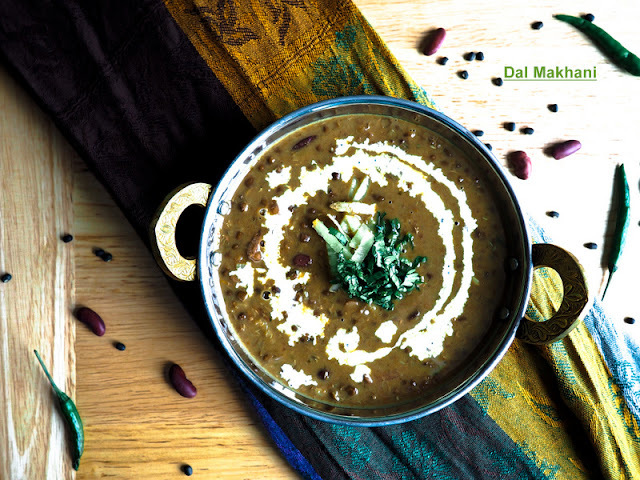 Tell me now, how did I miss this tempting dal dish? I don't know, been there on google+ checking for your recipes. Never mind, this the perfect dish for our veg meal. Sometimes I can go literally mad deciding what to cook, here comes the dish. Yum. Nice recipe! I have a lot of pasta recipes but this one is one of the best! I cooked it for whole my family and they very liked it.